Designed to fill air reservoir tanks, the Viair 330C IG Series Air Compressor is CE certified spec and features outstanding sealing properties to elements. It has a maximum duty cycle of 100% and working pressure of 150 PSI. It is capable of filling a 5-gallon tank from 110-150 PSI in 3 minutes and 12 seconds at 1.06 CFM or 1.16 CFM for 12-volts and 24-volts variety. The Viair 330C IG Series Air Compressor is equipped with a permanent magnetic motor in 12-volts and 24-volts motor voltage. It has a low amp draw at 16 amps for the 12-volt system and nine amps for the 24-volt system. With a unique head assembly, it offers better heat dissipation. 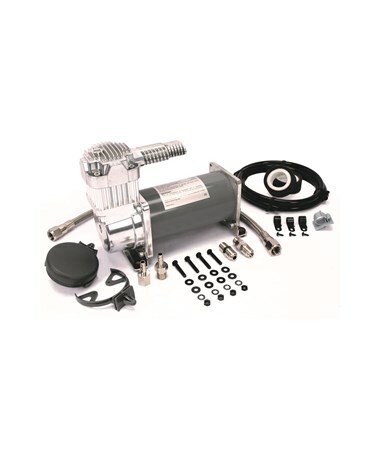 It also comes with a separate stainless steel braided PTFE-lined leader hose and checks valve assembly which protects the compressor against high amperage restarts. The Viair 330C IG Series Air Compressor provides steady and constant duty performance with 1-hour runtime. 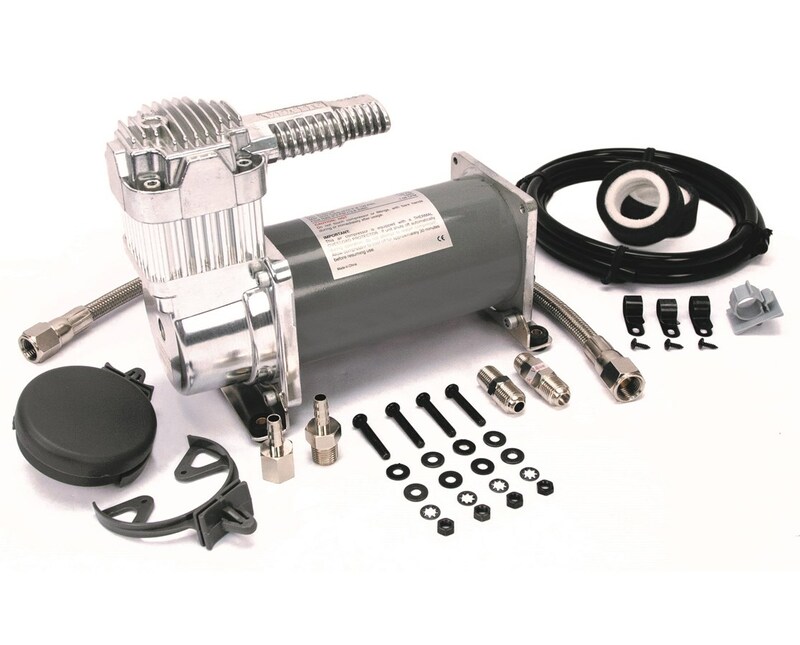 With a measurement of 9"L x 4"W x 6.75H" and weight of 8.25 lbs., this compressor is portable. This compressor requires the use of a pressure switch that allows operation up to each compressor’s maximum working pressure as well as a relay for installation. It is backed by a 1-year manufacturer’s warranty. The Viair 330C IG Series Air Compressor is available in two different motor voltages. Please choose from the menu above. Dimensions: 9"L x 4"W x 6.75H"